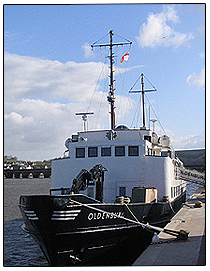 MS Oldenburg is a British passenger ferry serving the island of Lundy in the Bristol Channel. 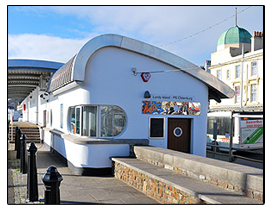 The ship was named after the former grand duchy of Oldenburg, Germany, and launched on the 29th March 1958 in Bremen. On the 6th August she was delivered to Deutsche Bundesbahn Schiffsdienst Wangerooge, used as a ferry service between the mainland and the Frisian island of Wangerooge.